Conzerol® A plant-derived formulation of concentrated antiviral phytochemical compounds found in nature. 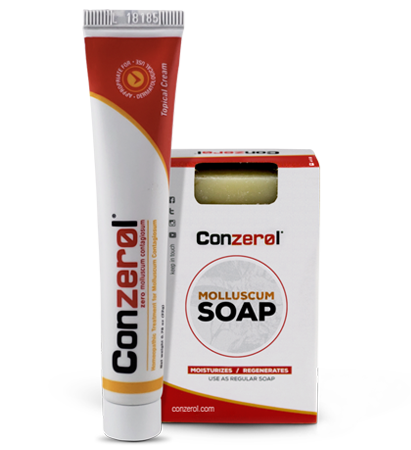 Conzerol® Zero scarring* with our painless topical cream – scarring may occur with other harsh products like vinegar, burning, blistering agents and freezing. You will be completely satisfied with Conzerol® or we will refund your money. ** We offer a 60 day guarantee. Less than 2% of our customers are unsatisfied with results. Let it dry for 3 minutes. Do not remove the cream or clean the skin until next application. Apply the cream 2-3 times per day. Until all the lesions are gone.